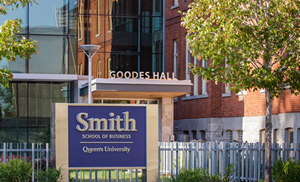 Goodes Hall, the home of Smith School of Business, combines an exquisitely restored 45,000 square foot 120-year-old Victorian schoolhouse with 143,000 square feet of bold new design and structure. 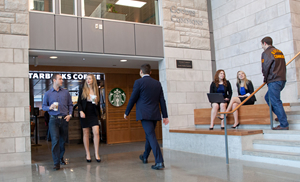 The building is named in honour of the family of Mel Goodes, a Commerce '57 alumnus and former Chairman & CEO of Warner-Lambert worldwide. 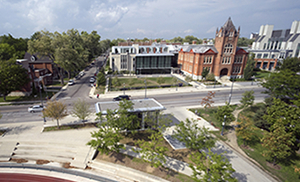 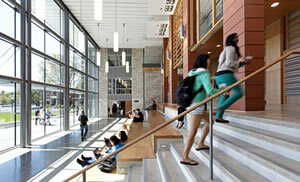 Goodes Hall was conceived, designed and constructed not just as a building, but also as a community. 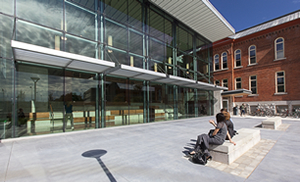 The guiding principle from the outset was to create a space that would enable maximum interaction between faculty, staff and students in all of Smith School of Business' programs. 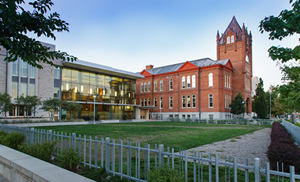 Design features include a dramatic central "hive" of the building that uses an atrium to bridge the streetscape exterior of the old schoolhouse to the new section of the building. 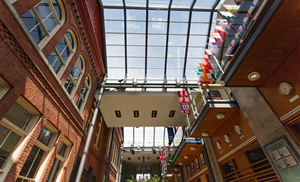 This expansive glass atrium area houses a lounge and the main Goodes Hall reception area, and is used as a central space to post news and hold events. 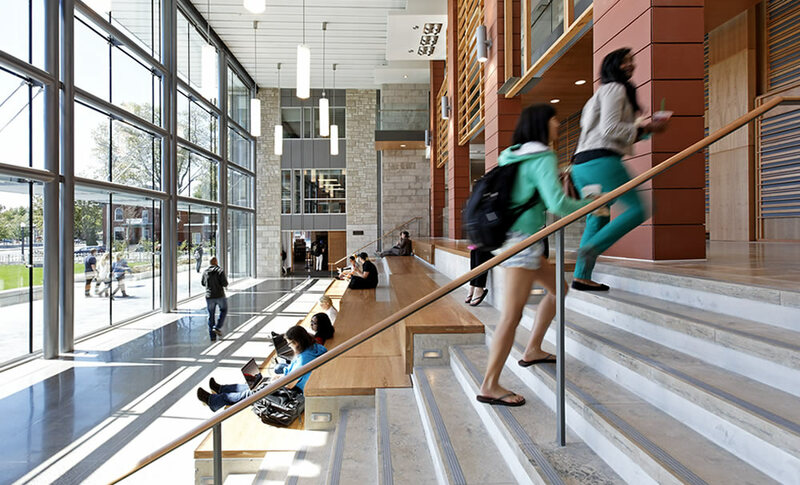 The classrooms and lecture halls themselves were designed for optimal sightlines and communication. 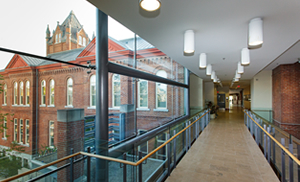 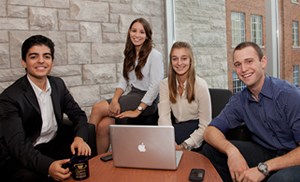 The generosity of Mel Goodes and other benefactors have made Goodes Hall possible.